I thought it was mind-numbingly obvious from the get-go that Assad did not gas his own people. As far as I could tell, all evidence pointed to terrorists, likely al-Qaeda, which controls that part of the country. 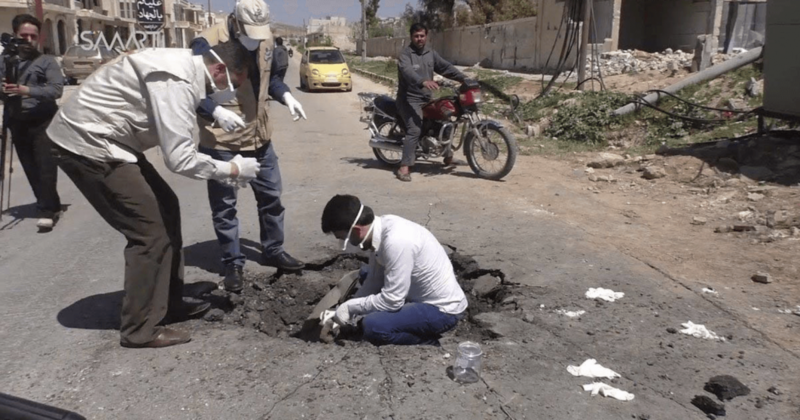 A leading weapons academic has claimed that the Khan Sheikhoun nerve agent attack in Syria was staged, raising questions about who was responsible, reports IBT. Postol, formerly a scientific advisor at the Department of Defense (DoD), has previously outlined similar inconsistencies with US intelligence reports. Following the 2013 chemical weapons attack in eastern Ghouta, Postol again said the evidence did not suggest Assad was responsible. A later United Nations report did not find Assad responsible also, however it did not rule him out either – as it could not apportion blame based on the evidence. Reporting by Seymour Hersh in the London Review of Books documented that US officials whitewashed findings to blame Assad when their intelligence showed that anti-Assad militants were the most likely perpetrators.